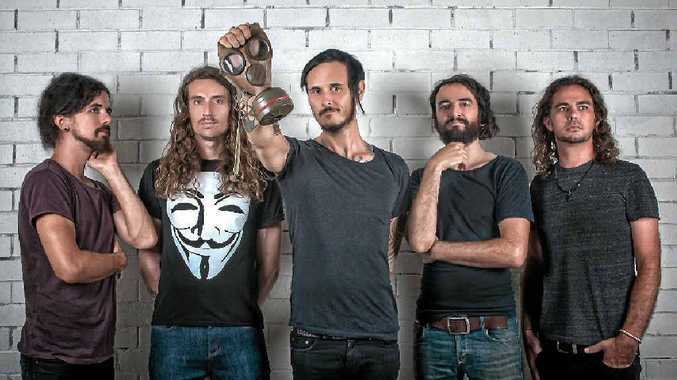 WICKED: Dead Letter Circus is headlining the El Grande Music Festival in Gladstone. THE response to Gladstone's music festival El Grande is proving to be, well, el grande. Spanish for the great, the organisers of the event are happy with the response to the festival. Dead Letter Circus will headline the event, which starts at 1pm tomorrow at MIe Place Niteclub, formally known as Bojangles. Tickets are $40 and are running out fast. Organiser Nathan Bedford said it was going to be the biggest El Grande. "We've already got 400 people in the building," he said. "There's tickets left but we've sold a lot more than the amount of pre sales tickets in previous years. "We don't think we will have many left at the door on Saturday." The festival will not just showcase rock but metal, funk, dance, pop and more. There will be 26 bands, three DJ sets and a free barbecue for festival-goers, to provide the ultimate party all night.